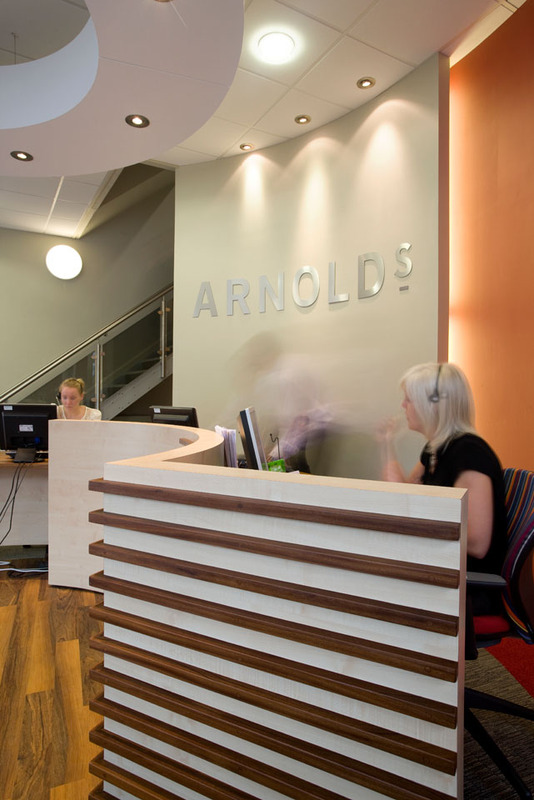 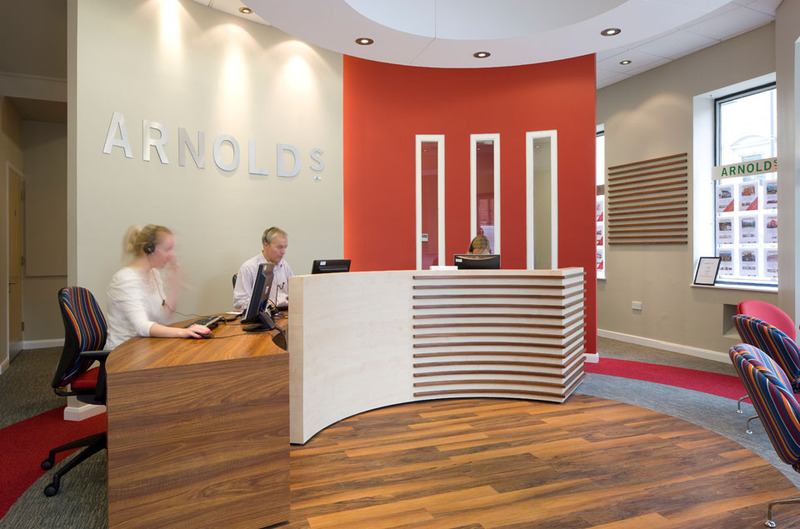 A prominent location was sought as the new head office for Arnolds, a leading independent chartered surveyors and estate agents, and an eye-catching, contemporary and practical interior was called for. 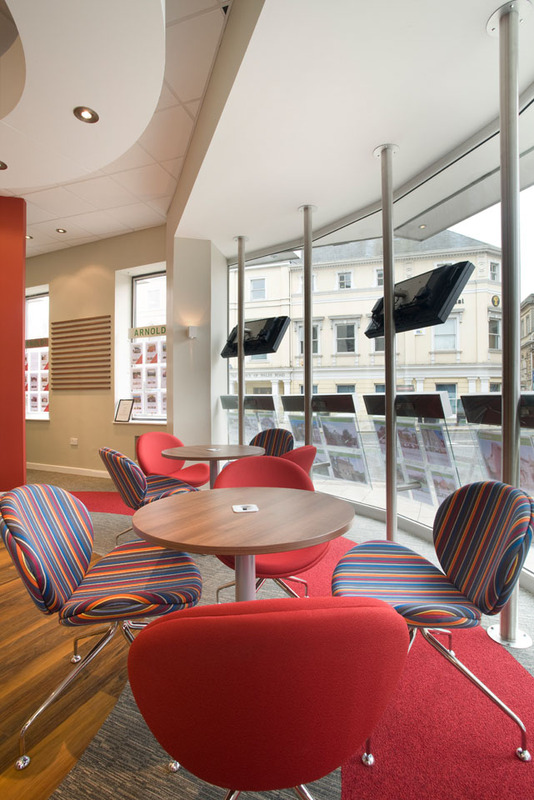 Bluespace provided a complete design service including bespoke reception furniture in maple and walnut, striking flooring details and bold decorations to set off contemporary soft seating in their new sales cafe. 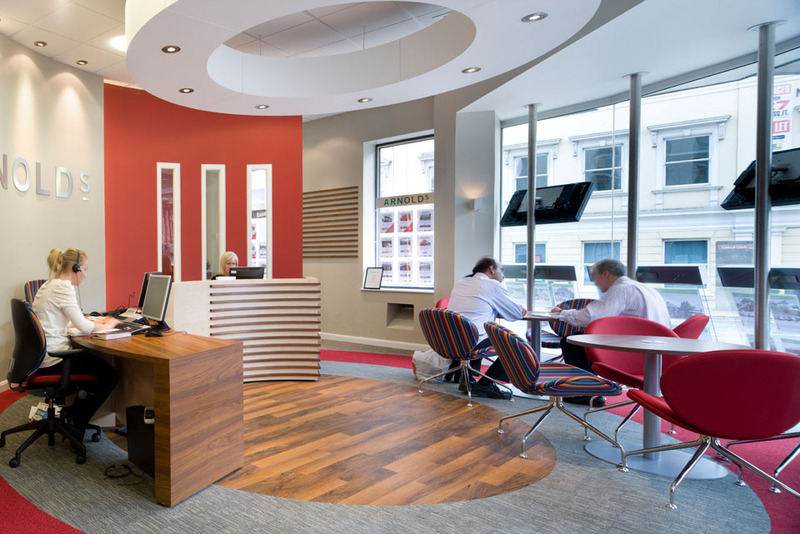 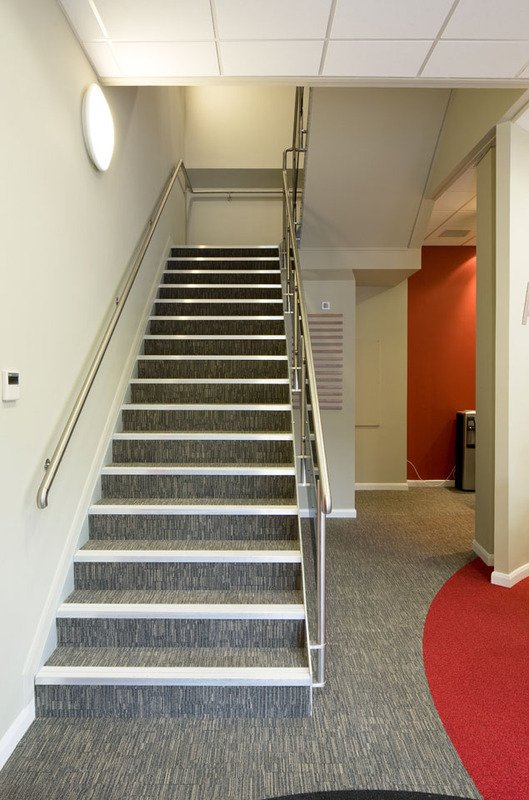 The challenge was to provide a cost effective balance between a modern, vibrant interior and a practical working reception, meeting and sales area. 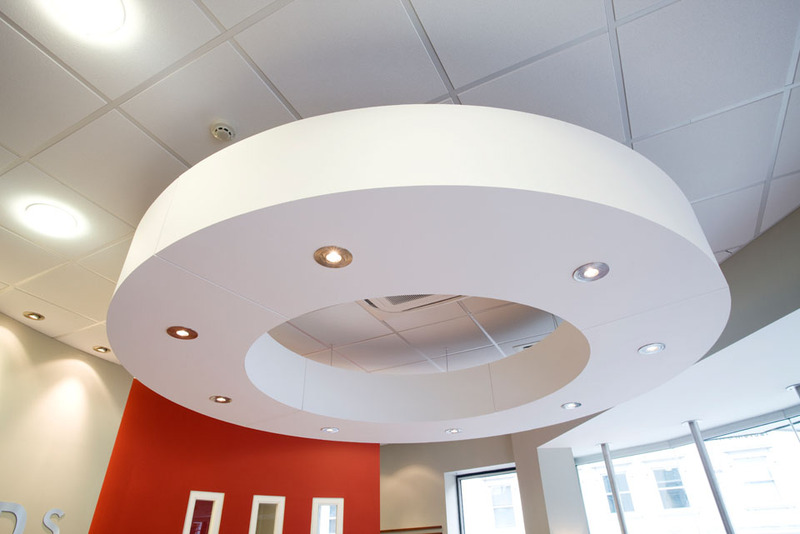 A circular suspended ceiling raft creates a sense of intimacy within a double height space, a curved wall with signage and borrowed light windows and concave reception counter complete the circular theme. 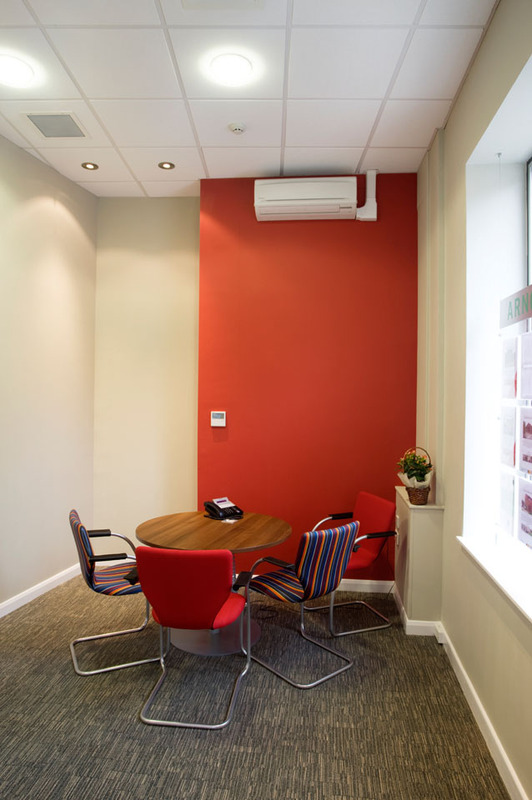 By carrying out office space planning for this project, we were able to envision how to use the space within the office, we were able to create the illusion of more space and optimise the areas we had.